In 2049, replicants (described as "bioengineered humans") are slaves. 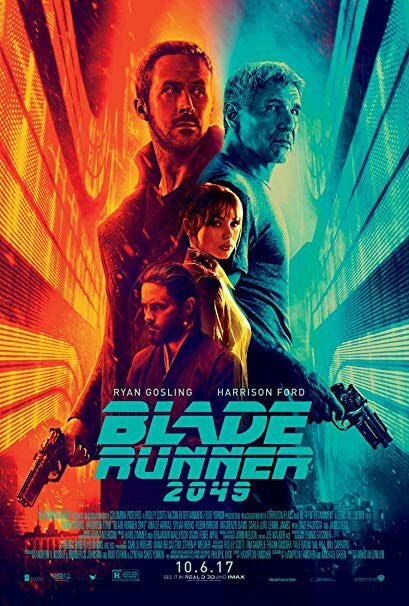 K, a replicant, works for the Los Angeles Police Department (LAPD) as a "Blade Runner", an officer who hunts and "retires" (kills) rogue replicants. At a protein farm, he retires Sapper Morton and finds a box buried under a tree. The box contains the remains of a female replicant who died during a caesarean section, demonstrating that replicants can reproduce sexually, previously thought impossible. K's superior Lieutenant Joshi is fearful that this could lead to a war between humans and replicants. She orders K to find and retire the replicant child to hide the truth. Read more on Wikipedia.